While most CPAP masks performed the above two functions with high efficacy, they had a few drawback. Comfort: Since these masks were placed for long periods of time on a person’s face, they caused allergies and irritation. Additionally most masks were mass produced, so at times they did not fit properly which resulted in a very low level of comfort while a person slept with the mask on their face. 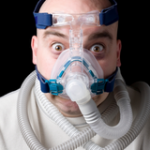 Life: Earlier CPAP masks were weak i.e. their clips were weak. When a person removed them with a little extra pressure, they tended to break. Once the clip is broken, the mask can no longer maintain the vacuum seal thus leakage of the air occurred. Irritation: Masks of the past were also made from synthetic material which would cause irritation and itching on a person’s face. Weight: The masks of the past were heavy; this again resulted in a lower comfort level while using the mask. Custom Fit: To increase the level of comfort of a person who is using the mask and to provide a better fit, many manufacturers are now creating cpap masks which will act as a custom fit for every person. These CPAP masks are made of “gels”, this mask when boiled will melt the gel. After boiling when the mask is placed over ones face and allowed to cool, the gel will harden. As it hardens it will take the exact shape of your nose. Thus every person is guaranteed a perfect fit e.g. 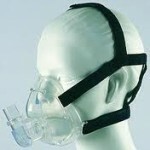 Comfort gel CPAP mask. Weight: Masks of today are created with materials such as cloth and leather to provide greater comfort and lower the weight of the CPAP mask. Irritation at the Nose: Some masks can be adjusted to lower the pressure exerted on your nose. Thus you will no longer suffer from red rashes and other pressure related problems. Cushion Flap: Some masks contain cushion flaps made of silicone which will cover the cushion part of the mask and separate it from the skin. Forehead Pad: Full face masks in general tend to place some pressure on the forehead when being used. 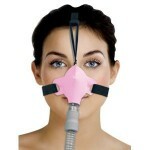 To stop this, many manufacturers are now adding forehead pads onto the CPAP mask. These pads will lower the pressure exerted at a single site by diffusing the pressure over a larger area. Quick Clips: Earlier masks were cumbersome to remove, especially when a person wakes up in the middle of the night and needs to go to the bathroom etc. To help in the removal process, manufacturers now add quick clips onto the masks. These clips when opened will allow for easy removal of the CPAP mask. Free of Latex: Most manufacturers are slowly removing latex from their masks. This helps to increase the comfort of the treatment because many people are allergic to latex. 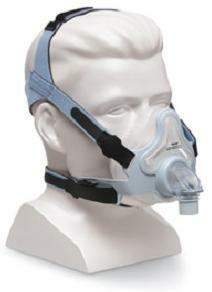 Make sure to keep the above improvements of the CPAP mask in mind when buying a new CPAP mask. They will help you get the perfect mask which will give you the highest levels of comfort and simultaneously maintain the efficacy of the treatment.